Dr. John Louis Adami of Kill Devil Hills, born January 8, 1955, in Jersey City, New Jersey to Louis G. Adami and the late Anne Yeretzian Adami, passed away on October 30, 2018, in the skilled and devoted care of his colleagues at The Outer Banks Hospital. A graduate of Norwalk High School, John continued his education at Rensselaer Polytechnic Institute and received a degree in biology. He attended medical school in Italy and returned to the United States in 1983 with a new language learned and a medical degree from the University of Genoa. Internal medicine residency at St. Vincent’s Medical Center in Bridgeport, Connecticut and cardiology fellowship at St. Michael’s Hospital in Newark, New Jersey followed. After a year of practicing cardiology in Massachusetts, he left to join Dr. Lindsey White, a partner with similar goals in patient care, in his cardiology practice on the Outer Banks and in Elizabeth City. John’s cancer diagnosis didn’t dim his positive attitude, and he viewed it as a chance to slow down and enjoy a more balanced life. He purchased a second home on some acreage in central Virginia that became a favorite gathering spot for his family and friends. He spent many treasured moments experiencing its rural charms, the relaxing lake view, the ample vegetable and flower gardens, the crazy guinea hens, the loving dogs, freshwater fishing, and maybe most of all, shooting his guns right off the front porch. 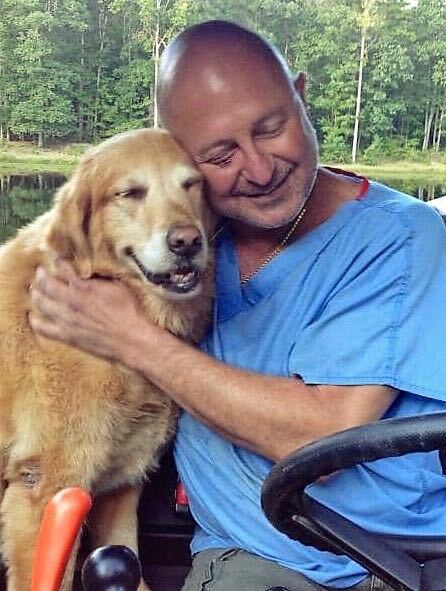 John spent his entire career dedicated to healing the hearts of his patients, a legacy that will live on in the hearts of his family. He is survived by his wife of 13 years, Robin Williams Adami, her sons, Richard Hampton Howell, William Hunter Howell and John Pearson Howell, his father, Louis G. Adami of Hendersonville, NC, his son, Alexander John Adami, a resident physician in Seattle, his daughter, Elizabeth Christine Adami, a nurse and APRN student in Boston, a sister, Mary Adami and her husband, Patrick Orsban, and a brother, Guy Adami and wife, Martha Carlson, and many loved nieces and nephews. The family will receive friends for a visitation on Monday, November 5, 2018, from 12:00 until 1:00 pm at Twiford Colony Chapel in Manteo, NC. John’s service will immediately follow beginning at 1:00 pm. In lieu of flowers, the family requests donations to the American Heart Association, 4217 Park Place Ct, Glen Allen, VA 23060 or online at www.heart.org. He will remain as the most kind, most sweet and attentive Doctor I have had here on the Outer Banks. My heart is healthier and stronger because of him, but today, it’s very heavy. Dr. Adami will be missed. He was an extremely knowledgeable and caring doctor and we were lucky to have him on the Outer Banks. He cared for both of my parents until he retired. My condolences go out to his loved ones. My sentiments exactly Shevawn. He was the best Dr. I’ve ever had and I can only imagine that he will be missed by many. RIP Dr. Adami. He was a straight shooter, no nonsense doctor who managed to join that with a compassion for his patients. One in a million. A good man. Just a reminder for the skeptics. There are many fine Doctors here on the Outer Banks. Dr. Adami was on the top of my long list. I thank you all. My deepest sympathy to Robin Adami and all of his family. My husband and I were patients of his, and he was always so kind. He gave us both the best care. We lost a wonderful doctor and a fantastic person. May you be at peace Dr. Adami.